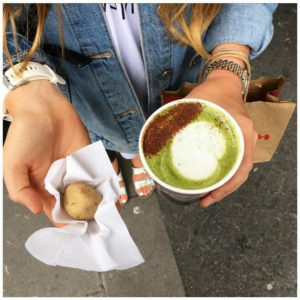 I also just want to say that this post is lacking on the active side of things because I was super duper poorly when I was here – I had intended to sneak off early and hit up Irelands Cross Fit gyms and yoga studios, but my body had other plans! HOWEVER, I have included a run spot from my previous visit! 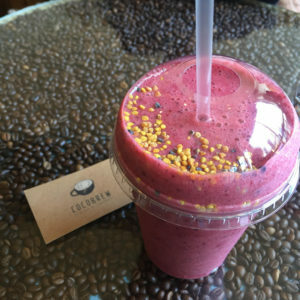 If you google healthy cafes in Dublin then I don’t think this one makes the list (probably because they also sell lots of sugar-full, gluten-full, dairy-full cake), but it certainly still should because the menu was very nutritious and yummy! 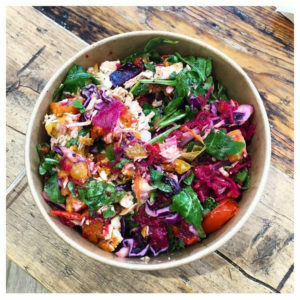 Avoca is also a really, really cute shop and deli – what more could you want from a brunch spot!? 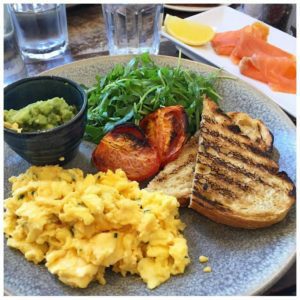 I went for sourdough, scrambled egg and avoid with a side of smoked salmon – it was delicious! I went for the vegan frozen yogurt and it was sooo good, and the texture was exactly the same as the non-vegan which pleasantly surprised me. I saw buckwheat pancakes on the menu which is definitely something I’d consider going back for the next time I’m in town. I didn’t really have enough meals left for Pog so I had to add in ANOTHER afternoon snack just so I could try it! The menu looked amazing with lots of protein treat and paleo options! I ended up just getting a vegan protein ball and matcha latte which were really, really good so I’ve got high hopes for their more substantial meal options! The FAVOURITE! Honestly, I know this is a really bold statement but I think the salad I had hear was the best salad I have ever had in my life! 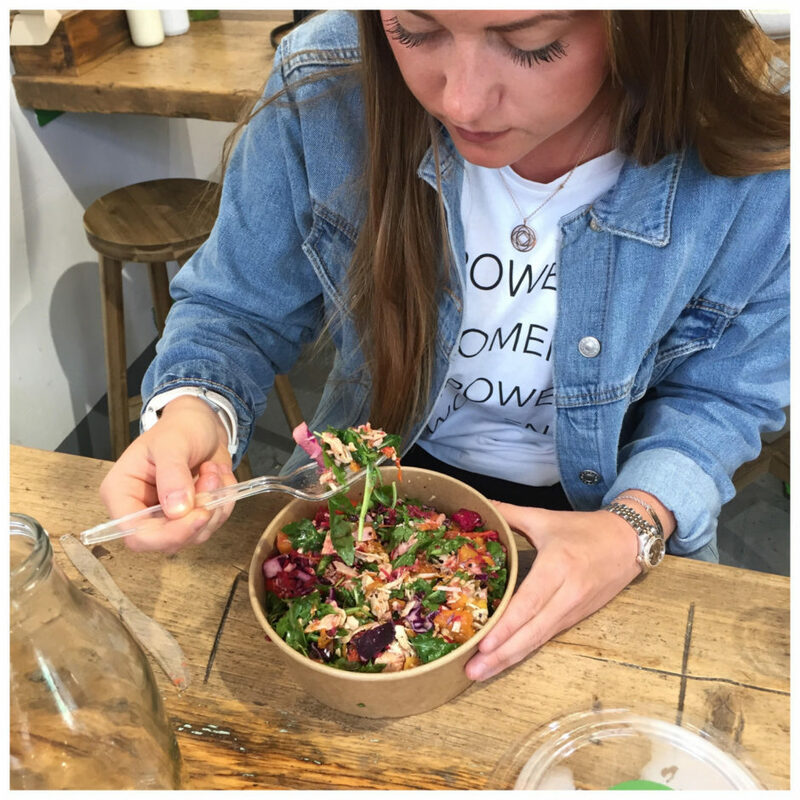 It’s honestly so simple – you literally create your own salad (or one of their ones they suggest on their menu) but the options were so good. It’s also the only place I have found that serves apple cider vinegar as a dressing option (my daily favourite staple in my diet)! I would really recommend it here for lunch! More for coffee then for food, although their cakes and energy balls did look amazing! I had an amazing almond milk latte and a tropical superfood smoothie from here, and the decor is super cute! Have a little plod to and around Phoenix Park if you want to explore and also get some miles in! I loved running around here and seeing some dears so close to the city centre! I have stayed in 3 different hotels in Dublin and only one is worth mentioning – The Morgan. Not only is is super cool and beautiful, right in the heart of Temple Bar, but it also gives guests complimentary use of Westwood 5-star boutique luxury Gym! I am a sweaty Betty ambassador! Why Pilates is the best thing for athletes!